Sri City, February 23, 2017:- The Andhra Pradesh Pollution Control Board (APPCB) conducted a work shop on ‘Hazardous Waste Management & Handling Rules-2016’ in Sri City on Thursday. 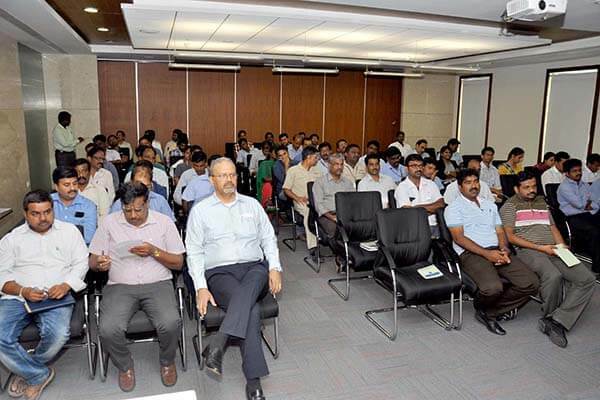 Ramky Enviro Engineers Ltd., Hyderabad represented by its Head of Planning Dr. K. Srinivas, was the knowledge partner of the workshop. Welcoming the participants Mr. Satish Kamat, President (Operations), Sri City appealed them to actively participate in the session and update their knowledge on the rules and regulations pertaining to hazardous Waste management & handling. Engineer, APPCB, Tirupati appreciated Sri City units for adhering to the norms set by the authorities. He mentioned that the key feature of the 2016 rules is disposal of hazardous waste should be the last option when minimisation, reuse and recycle are not possible. 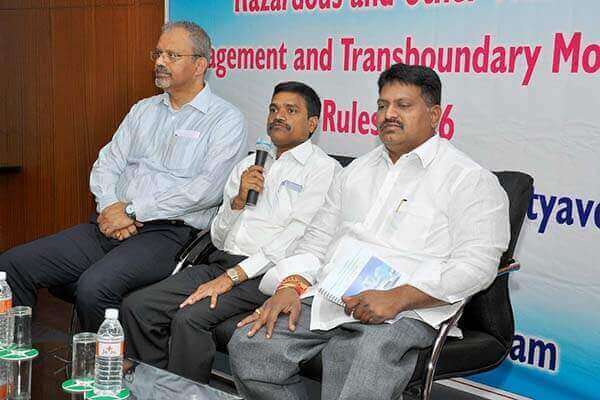 Detailing the new rules, Dr. Srinivas remarked that the rules of 2016 have shifted the focus from the principle of disposal to the principle of sustainable management and utilisation of hazardous waste. He alarmed that hazardous waste management is crucial for the sustainability of the society as even if a minuscule part of such waste leaks into water bodies or air, it could cause irreversible damage to environment, human and animal health. He stressed that the industry must take appropriate precautions in dumping and processing of hazardous waste. 80, have attended the workshop.